Apple’s Face ID Failed To Differentiate Two Chinese Women: During the launch of iPhone X, Apple claimed that their latest Face ID feature is extremely secure and doesn’t have any flaws. However, very often we have seen the Face ID technology of Apple made headlines regarding its continuous failure. Just a few weeks ago, we had seen the Face ID tech of iPhone X failed to distinguish between two identical twins. We had also seen how researchers had fooled Apple’s Face ID with the help of a 3D mask. More news regarding the Apple’s Face ID tech is surfacing. Recently, a Chinese woman had been offered a refund on her iPhone X after she found that her colleague could unlock her new device. 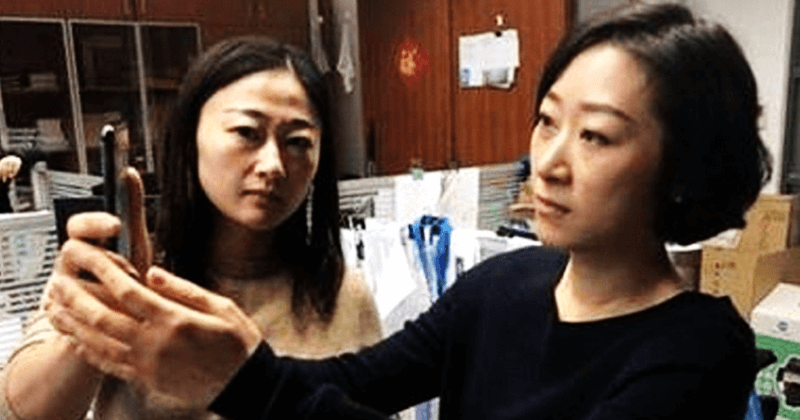 The Chinese woman saw how her colleague unlocked the new iPhone X without any problem using the Face ID technology. Actually, the Face ID technology of iPhone X had failed to distinguish between the two Chinese woman. The woman was quick enough to guess the possible security flaw and got in touch with Tech giant Apple. Both women went to the nearby Apple Store and demonstrated the flaw, with ease, that the Face ID recognized them both equally. Well, guess what? Apple staff at the store said that the camera of the smartphone might be faulty and gave them a refund, which she used to buy another new unit of iPhone X. However, she also faced the similar problem with the replace iPhone X. She again went to the store and prompted to offer a second refund. Well, it’s still not obvious whether the Chinese women bought the third unit of iPhone X. There is no comment from Apple as of now. So, what you think about this incident?